The science of fasting is now slowly emerging in the mainstream market and is slowly gaining recognition for its supposed efficacy for health and longevity potential. It is characterized by intermittent calorie restriction, which promotes reducing daily caloric intake to 800 to 1,000 calories for two consecutive days per week. Meanwhile, periodic fasting entails limiting caloric intake between three and five days, such that cells eradicate glycogen stores and start ketogenesis, which is a biochemical process that produces ketone bodies. 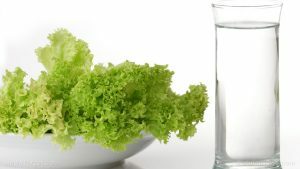 Dr. Valter Longo says this aids with the physical and mental rigors of fasting by giving nutrients to the body without stopping the fasting process at the cellular level. “You destroy when you are starving and you rebuild when you refeed. Destruction is as important as the rebuilding,” Dr. Longo says. To facilitate this on a cellular level, cells must ingest all existing glycogen stores and start consuming ketones stored in fat, after the readily available glucose has been depleted. After three to five days of ketosis, you have your normal range of calories again and your cells return to their rejuvenated state. The digestive system is governed by a particular sequence throughout a day, jumpstarting when we first consume calories in the morning. As food is transported throughout the system, each organ performs its job, then maintains a “standby” mode, then turns on again when we eat next, and so on and so forth until our last meal for the day. When the system is done, it goes into self-maintenance mode. If you disrupt your system (say, you decided to indulge in a half-pint of ice cream in the middle of the night), the system’s minatenance process is thrown off, which negatively impacts overall proficiency. To paint a clearer picture, if you eat from 6:00 a.m. until 11 p.m., you’re giving your body a very small amount of time in which to repair itself – a mere seven-hour window – before your next meal. “Having good genes is huge. And the composition of your diet matters. But the third part is the timing of your eating,” Dr. Panda says. Fasting can help one be protected from the claws of obesity, the silent but deadly health condition that is said to be the harbinger of chronic health diseases. It can also improve one’s fitness and reduce the risk of metabolic diseases. Weight loss, which is a result of fasting, is said to help reduce the risk of breast cancer, according to Dr. Harvie’s epidemiological study. She is also researching the effects of weight loss on chemotherapy, particularly how cells on a calorie-restricted diet are shielded against chemotherapy’s toxic side effects. Fasting improves the nervous and immune systems. It increases the production of a protein called brain-derived neurotrophic factor and lowers free radical damage. Fasting can help one be protected from the claws of obesity, the silent but deadly health condition that is said to be the harbinger of chronic health diseases. Weight loss, which is a result of fasting, is said to help reduce the risk of breast cancer. Fasting improves the nervous and immune systems.